Both the new iPhones are launched with the HD Retina Display which will let you provide full High Definition screen. iPhone 6 is available in 4.7 inch screen size and iPhone 6s is available in 5.5 inch screen size. iPhone 6 and iPhone 6s comes with the round corners rather than distinct edges. 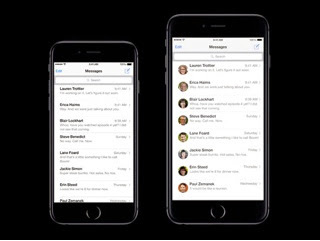 iPhone 6 has a resolution of 1334 x 750 with the 326 pixels/inch. Which is more than 720p Retina HD display. 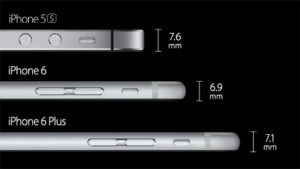 iPhone 6 is only 6.9 mm thick while iPhone 6 Plus is 7.1 mm thick which is only 0.2 mm more than iPhone 6. Graphics and Processor performance both are improved in new iPhones as Graphics are 84 times much faster than iphone 5s and performance is 50 times increased than iPhone 5s. 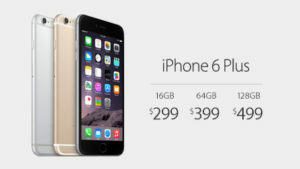 Phone 6 and iPhone 6 Plus both are powered by the A8 chip Apple-designed. 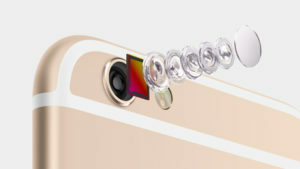 iPhone 6 has a 8 MP iSight camera, which has ƒ/2.2 aperture, 1.5µ pixels and all-new sensor. The new software helps to take Better quality pictures. New iPhones also recommend better picture by detecting Smiles and blinks. 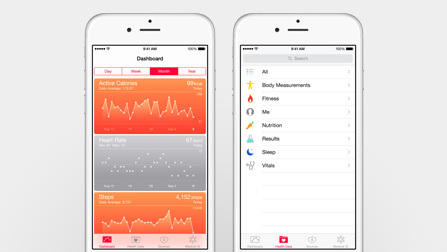 iPhone 6 and 6 Plus are based running on the iOS 8 which has the ability to measure physical activities, like flights of the stairs you climb. Third-party apps will also be able to tap into these type of features.